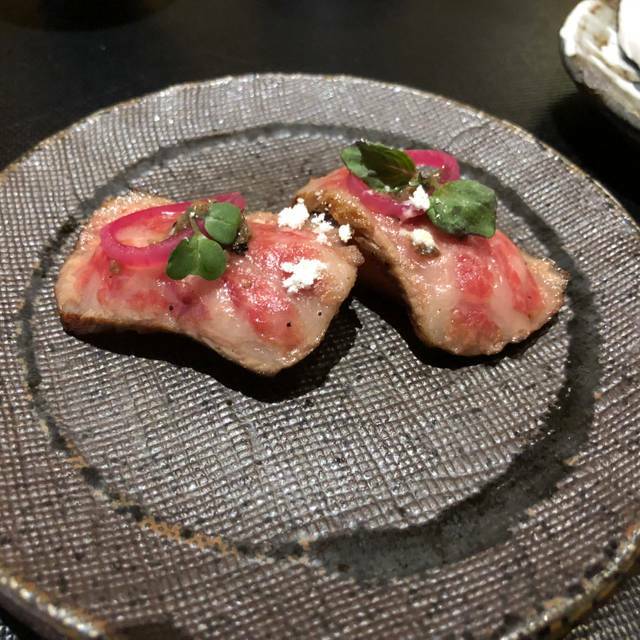 Omakase offers two different fixed-price tasting menus that will take you through your senses. The culinary journey you experience will introduce you to the many flavors of Japanese cuisine with our fish flown in from the famous Tsukiji Fish Market in Tokyo, Japan. Omakase specializes in Edomae — traditional style sushi. We partner with chefs trained in the top restaurants of Tokyo. Premium sakes are individually selected to complement your meal as you enjoy the day’s best selected fishes. Thank you for entrusting your taste buds to the chefs and for choosing Omakase. Tensei "Song of the Sea"
Phenomenal. Best Japanese restaurant in SF. Food is good. Service is good. But one of the chef kept talking with the customers with a loud voice, didn’t do much work and was drinking wine all night. (The other chef did the most of his work). It was the break of the atmosphere. An one star restaurant should focus on professional service, but not keep talking and drinking, made me feel like eating in a fishing market. Wow incredible quality fish, flown in from Japan! Our chef Jackson was wonderful, we had a great time talking with him at the sushi bar. And the food is out of this world. We for the Yamato Omakase which is the larger and more expensive option and we walked out really full. It’s not cheap but it is absolutely worth it. In a word,everything is excellent!I never try like this fresh sushi before!Especially the Japanese Uni and California Uni,it’s amazing!Otherwise, the service make us comfortable and the chef is very professional!A wonderful night! 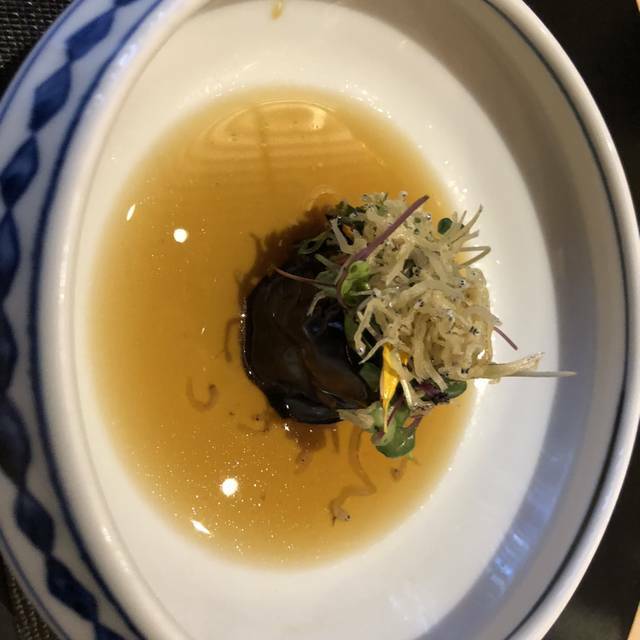 Clearly star Michelin quality and the best Japanese meal I have outside of Kyoto and Toyko. 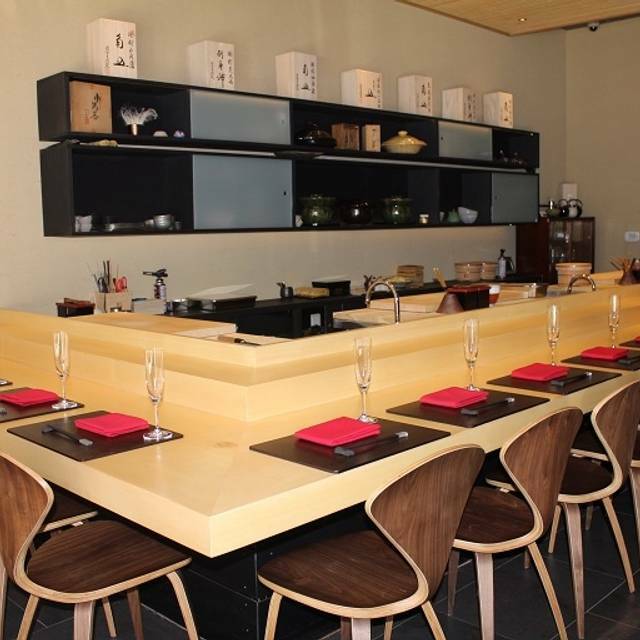 Very attractive seating and detailed interesting information about the food and saki from both chef and maitre-d' . Bar seating allowed close view of preparation of food. Sushi items had flavorful toppings and tasting of several different cuts of tuna intriguing. 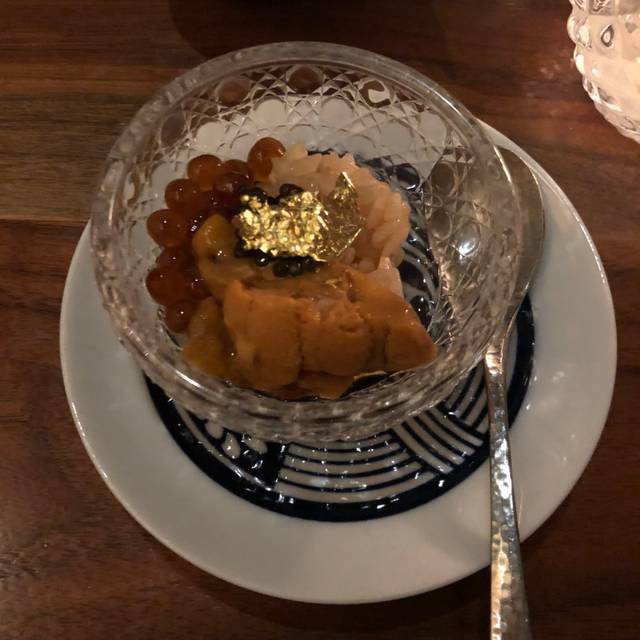 Unusual items included monkfish liver, artic char roe, and a wagu beef sushi topped with gold foil and torch-browned. A real star was a seafood custard with generous topping of fresh truffle. The light lychee nut desert was excellent. Amazing experience throughout the whole dinner! Left my credit card and they texted me right away from my Open Table reservation. So was able to turn around and get it. Great service and a truly unique experience with real Japanese imported sushi. Highly recommend! The overall experience was very good. I took my husband to Omakase for his birthday. We very heavily weight the quality and taste of the food, which was exceptional. The preparation is very fun. While our chef was rather quiet, we did not mind that at all and he definitely tried to explain every thing he put in front of us. However, we had some strange experiences with the staff prior to our reservation. I received a text confirming our reservation and in the test they requested we change our reservation time 15 minutes before otherwise the timing would be condensed due to another reservation starting after ours. We were able to accommodate this request, but as an Omakase style restaurant I was shocked they would have to ask us to do this. We made our reservation for our preferred seating time and since the chefs are the ones serving the plates and dictating the timing, I do not understand why we were asked to change our reservation time. I would expect at such a high-end restaurant would work the timing out before accepting the reservations. Also, the space is quite cramped. I appreciate the bar-seating, but I was definitely brushing shoulders with my neighbors the whole night. Finally, we asked for a recommendation on sake and I was surprised that the only recommendation suggested was the most expensive option. At our hesitancy, the person insisted the most expensive option was the one we should get. I recognize we were already splurging, but we did not feel comfortable refusing in that moment and did not feel we could choose any of the other more reasonable options. Chef Jackson catered to us very well and described each dish. It was a very fun time for all of us. 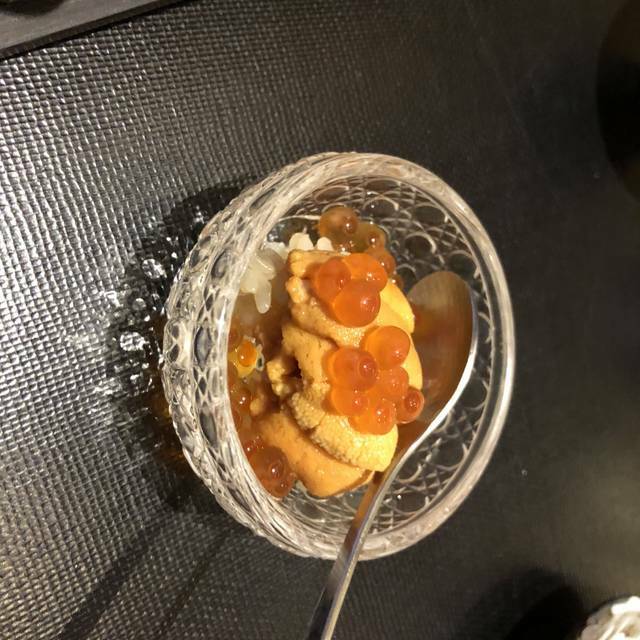 I have been to Omakase now 3 times in the past 3 years. It is by far one of the best traditional sushi restaurants in the US. The service and attentiveness is excellent and the food is top notch. Highly, highly recommended. It was good especially Uni and wagyu part. Also, service was great. Amazing experience, fun chefs and very thoughtful birthday card flower and dessert ! This experience was absolutely sublime. Wonderful gift for our daughter’s birthday. Great waitstaff and private sushi chef. Thoroughly enjoyable. Latest update: They saw my review and sent me a text saying they would send my partner a gift. We are not expecting a gift, but the “gift” they told me about is still no where to be found. I brought my partner here for her birthday and this is not our first omakase experience. The seating was VERY tight and squished. I was literally shoulder to shoulder with the person next to me. The fish was okay. Not good enough to pay over $500. I didn’t care for the over use of uni and the use of truffle in multiple dishes. When I have omakase, I expect the fish or A5 wagyu to be the star of the dish, not black truffle/truffle oil/truffle salt. Lastly, everyone there was celebrating their significant other’s birthday. It also happened that all of the females were celebrating their birthday’s. Everyone received a candle on their dessert and a rose. My partner did not receive a candle or a rose for her birthday. 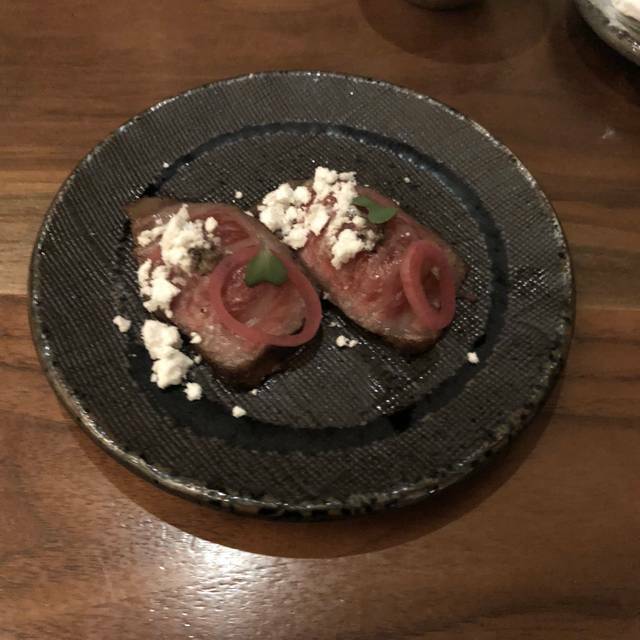 I’m not too sure how this happened, but I expected more of the service as I am paying A LOT for the food and experience. I personally will not be coming here again. It’s too expensive and not worth it. 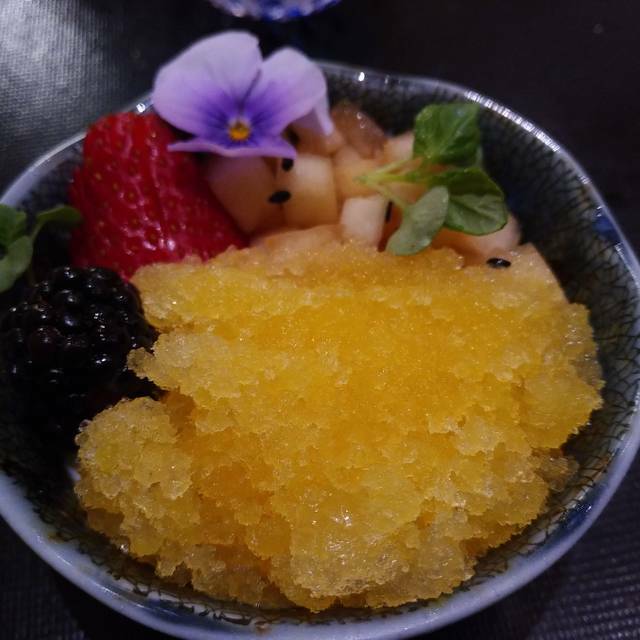 There are plenty of other omakase restaurants out in SF that are 4-5 stars with excellent service. Such an amazing place great food, great service. Would come back any time. Excellent dining experience from reservation to trip home! We were celebrating our anniversary, they prepared a special placard for our spot and gave me a beautiful rose at the end of the night. The service was impeccable and kind, not hovering or in any way intrusive. The sushi chef educated us on each of the dishes, the fish, the prep, the history. Fabulous. And the food was AMAZING: not your everyday sushi, inventive preps and unusual fish. I’d go back in a second! This is the second time I have been to Omakase and it will not be the last. My wife and I love the food and atmosphere. This is the best Japanese food in the Bay Area. Jackson is a master chef and his food is an art. If you love sushi, you must try this place. The experience was awesome! I wish all the sushi places was similar to this! Remarkable experience. Some of the most expertly prepared sushi I’ve ever witnessed. They made our anniversary memorable and amazing. The food is beyond exceptional and the service is impeccable. We've never had such exquisite food and service. Thank you for making our special evening exceed expectations. A night to remember for sure. It was really worth every cent. Outstanding experience, service and food quality. Freshest fish. Delicious. Loved it. Delicious food with chef meticulously crafting each dish! Would highly recommend to anyone who enjoys sushi! The sushi was so fresh and tasty. The ambience was fine, but the chefs are a joke. The chefs were loudly greeting their acquaintances whom suddenly popped out from the restroom side (yes, they did fist bumps too). This strong contrast of boorish chefs and fine food made our experience became a disappointment. You can find a better-quality experience in somewhere else with half of this price too. Not recommend this place at all. Great place for a Sushi/culinary experience. Our favorite omekase experience- and we’ve gone to restaurants in Tokyo, New York, and DC. Everything was fresh and delicious. We had a great time. 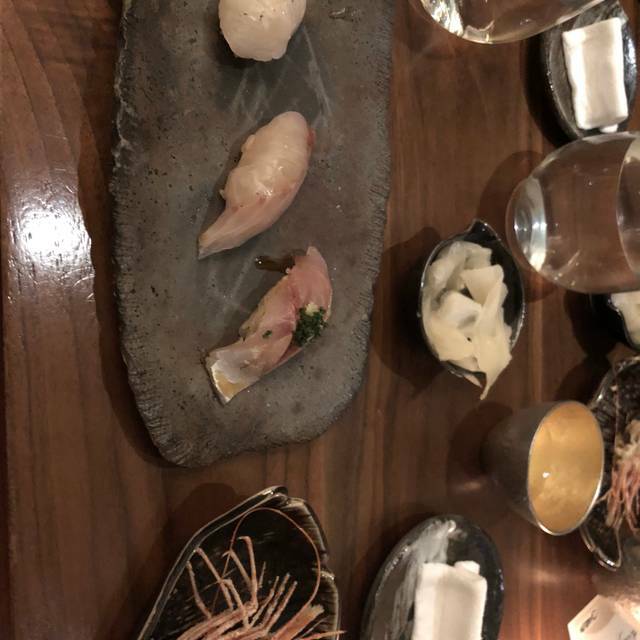 Omakase is my favourite Japanese, especially Nigiri restaurant in San Fransico. It's a really nice place and the chef, also the owner, Jackson is really nice and easy going. This is a nice place for a date or a business meal. Really worth it! Highly recommend. We went to Omakase for our anniversary. The restaurant created all sorts of special touches for the occasion, making us feel special before we even began. The meal itself was spectacular— quality, taste, and presentation could not be better! The sake pairing menu was excellent and highly recommended.The chefs and staff were very friendly and engaged in good natured banter with the guests seated around the sushi bar. Overall, a memorable evening and well worth it. 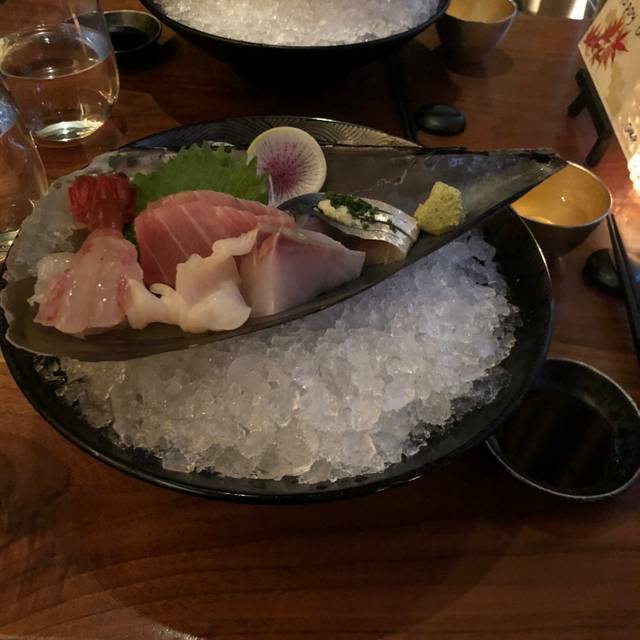 Exquisite food, attentive service, excellent sushi makes Omakase a joy to visit. I have been dying to come here for awhile and the stars finally aligned. Was able to join a couple of friends and went for the Yamato Omakase. The timing of the plate delivery was perfect, I never felt rushed or like I was waiting for food to arrive. Portions were perfect. I was worried that I was going to be too full by the end of the meal but by the time they served dessert I was ready. My favorite of the Nigiri was the Kamasu (Japanese Barracuda) cant recall ever having it before so it was a real treat. The staff was attentive and yet didn't hover or intrude so it was really nice to have a quiet evening with my friends were we could just chat about the food. Would love to come here again. Excellent ambiance for a special occasion or date experience. It is expensive, but you go for an amazing sushi ride with your taste buds! Definitely something I would book again! Fantastic experience, Sake pairing worked really well with the dishes. We would give one additional star if we could. Awesome birthday celebration for my daughter. absolute wonderful! Best sushi I ever have!